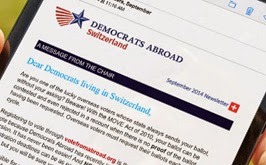 Democrats Abroad Switzerland: New Facebook Page for DACH! New Facebook Page for DACH! Spread the word to your American friends! Help us build our fan base!